Today we’re sharing a very special project working to develop multidirectional community-farms in the migrant coastal communities of Lesvos, Greece. A-1 is an itinerant publishing house founded in 2017 in Bombay by urban ecologist Zuri Camille de Souza and photographer Jimmy Granger. Earlier this year, they launched a floating collaborative publishing house on a sailboat, an open platform centred around themes of landscapes, borders and coastal ecology. The project involves the community in two ways. 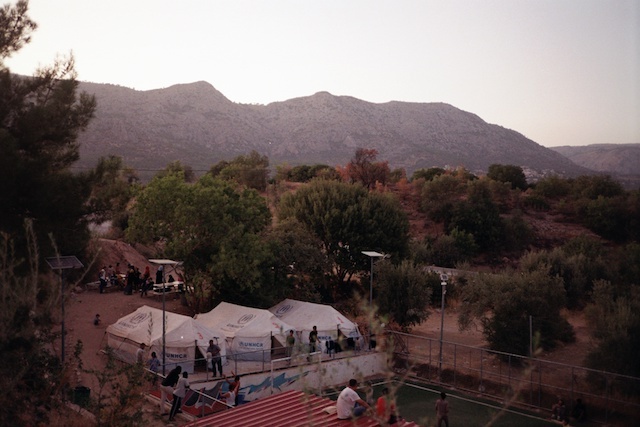 First, A-1 plans to set up community gardens in multiple refugee camps in Lesvos. These gardens will be a space for sharing recipes and knowledge about plant-based healing, as well as a laboratory where refugees can share their own skills and learn about ecology and nutrition in a safe space. Secondly, the floating publishing house works as a collective space with open doors, in which anyone can participate in self-publishing, bookmaking, and creative storytelling. “Providing refugees with resources to share their knowledge and learn new skills; be actively involved in solidarity work and regain independence over their lives through sustainable agriculture initiatives and a series of collaborative book-making workshops led by our independent publishing house. Through the shared action of gardening, A-1 hopes to initiate conversations about community, food, healing, natural remedies, and the relationship between people and the land they occupy. The A-1 boat will be docked in Mytilene all summer until November 2018. Collaborative proposals are also welcome, and people are encouraged to come on board, share their skills and take part in the existing project. For more information, or to contribute to the A-1 initiative, visit their Ulule page.